Anyone using Google today will notice their signature Doodle is celebrating the 104th birthday of a very important pioneer in biochemistry and crystallography – Dorothy Hodgkin. As an inorganic chemist, I know the importance of x-ray crystallography in my field and across a whole range of other disciplines, from biology to physics, and we all have a lot to thank Dorothy Hodgkin for. Perhaps her most famous work were the discoveries of the structures of insulin, penicillin and vitamin B12, which she had to have a great hand in the advancement of x-ray crystallography at the time in order to achieve. Dorothy had loved chemistry since being a child, and one was of only two girls allowed to study chemistry with the boys during her school days at the Sir John Leman School. From there, she went on to study chemistry at Oxford, where she quickly developed a passion for crystallography. Because of her astounding work, Dorothy was awarded the Nobel Prize in chemistry in 1964 for her ‘determinations by X-ray techniques of the structures of important biochemical substances‘ – making her the only British woman to have received the award. You can read Dorothy’s Nobel Prize lecture here. You may also be familiar with her name, as the Royal Society awards the Dorothy Hodgkin fellowship to early career researchers who require flexible working conditions, and so is particularly useful for women with childcare commitments. 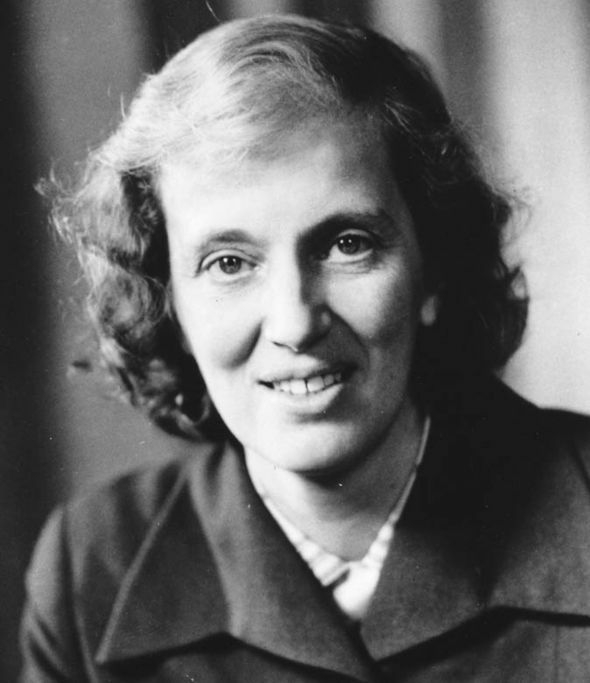 Dorothy Hodgkin was a remarkable, passionate scientist who continues to inspire young men and women alike to follow their aspirations and interests throughout their research career. Without her drive to discover the secrets of the biological molecules she worked with, x-ray crystallography may have taken a significantly longer amount to develop, and for that, we must be thankful. Dream Come True! Happy 104th Birthday, Miss Dorothy Hodgkin!!! RIP. Hodgkin! We Miss You, Miss Dorothy!! !